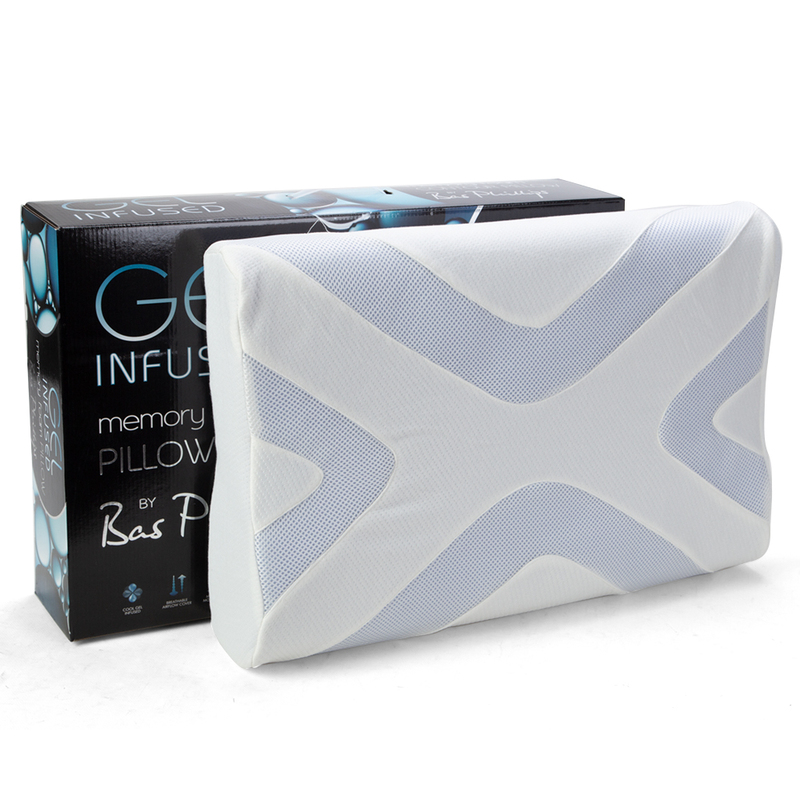 Discover an incredible sleeping experience like no other with Bas Phillips’ Gel Infused Memory Foam Pillows. Combining the superior support of memory foam with the cooling properties of gel, this luxurious memory foam pillow moulds to your shape and is infused with a cool gel that, when combined with the woven airflow cover, maximises heat dispersion from the neck and head while you sleep for a refreshing and therapeutic slumber. Cover is crafted from viscose and polyester. Filled with visco elastic foam and polyurethane. Contour design is ideal for side-sleepers. Memory foam filling moulds to your individual shape. Memory foam also encourages optimal spinal alignment and even pressure distribution. Cool gel is thermal conductive and helps to disperse heat from your head and neck while you sleep. Warm gentle machine wash recommended for the cover. Dab the filling clean with a mild detergent solution and dry flat. Beautifully presented in a Bas Phillips box. Dimensions: 60cm (l) x 13cm (h) x 40cm (w).